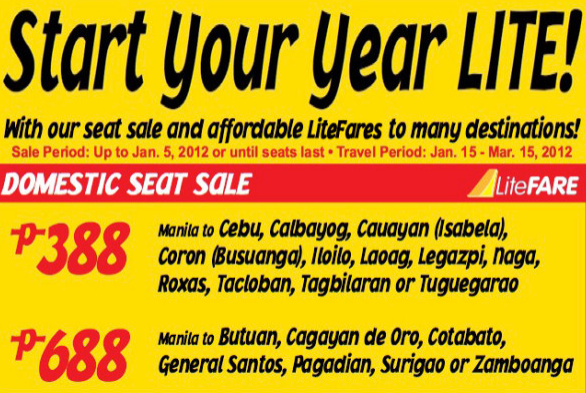 Cebu Pacific dishes out Lite Fare Sale that drops prices starting Php 388. The travel period is January 15 to March 15, 2012. This sale features domestic flights from Manila. Start the year right by availing this newest Cebu Pacific sale, check the details below for more information. 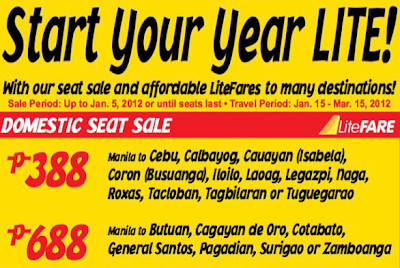 Seat sale is up until January 5, 2012 or until seats last. Travel period is January 15 to March 15, 2012.